Dane Abdool was convicted in the December 2006 burning death of his 17-year-old girlfriend Amelia Sookdeo. The two argued after Sookdeo told Abdool about her possible pregnancy. Angered, Abdool reportedly wrapped Sookdeo in duct tape, doused her in gasoline then set her on fire, burning her to death. Autopsy results stated she wasn't pregnant at all. Abdool was sentenced to death in Orange County on May 11, 2008. Dane Abdool, the man convicted of burning his ex-girlfriend to death, will get the death penalty. This morning, Orange Circuit Court Judge Lisa Munyon followed a jury's recommendation that Abdool, 21, die by state execution. Prosecutors say Abdool, who was 19 at the time, doused Amelia Sookdeo, 17, with gasoline and set her on fire in February 2006. He left her to burn on the side of County Road 545 in Winter Garden. In December, the 12-person jury found him Abdool, 21, guilty of first-degree murder. They voted 10-2 in favor of the death penalty. It's rare for a judge to go against a jury's recommendation. According to the Department of Corrections, Abdool will be one of the youngest prisoners on death row. 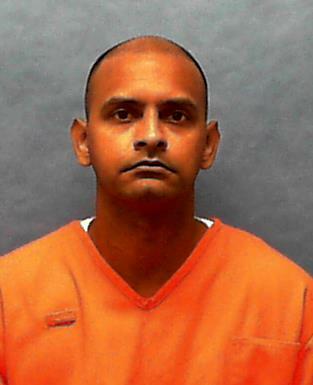 The Florida Supreme Court upheld Abdool's death sentence on direct appeal in an opinion dated October 7, 2010. The mother of a death-row inmate pleaded guilty today to bank fraud and identity theft in a pair of schemes to embezzle money from elderly customers. Nazreen Mohammed, 47, mother of Dane Abdool, who was sentenced to die for the Orange County murder of his 17-year-old ex-girlfriend, faces up to 60 years in federal prison for crimes committed at Lake County financial institutions. Mohammed worked at Fairwinds Credit Union and a branch of the Royal Bank of Canada, where she used her position to tap into accounts of customers and create fraudulent loans which she transferred to her personal use. Court documents show she poured some of the money into her son's account. Federal investigators say Mohammed, who created Lifeline Inmate Support Advocacy Group to offer financial and emotional aid to death-row inmates and their families, tried to embezzle more than $400,000 in the schemes. In one of her schemes, she created a loan in the name of a credit-union customer who was dead. In others, she tried to hide cash withdrawals and fund transfers by changing mailing addresses and making herself the account beneficiary upon the customer's death. Some of the customers she targeted were in their 90's. Mohammed's son was convicted of 1st-degree murder in the death of 17-year-old Amelia Sookdeo, whose body was found alongside State Road 545 on Feb. 25, 2006. She had been bound with duct tape, soaked with gasoline and set on fire. The Florida Supreme Court last month rejected her son's appeal and upheld his death sentence. Though Mohammed and her husband, Haseeb Mohammed, cited debts of $1.2 million when they filed bankruptcy in 2009, she managed to make regular deposits to her son's prison account, which allowed him to buy snacks and deodorant. She had deposited more than $4,300 into his prison account in the past 2 years. According to the plea agreement filed in federal court, Mohammed said the embezzled money also was used to buy a vehicle and pay some bills. She cited family financial difficulties which included her husband's medical expenses and her son's legal bills. On 05/21/08, Abdool filed a direct appeal with the Florida Supreme Court in which he raised the following claims: (1) the evidence did not prove premeditation; (2) the trial court allowed Detective Bobby Gammill�s opinion on the nature of Sookdeo�s death; (3) the victim�s father provided no relevant information; (4) the trial court ordered the defense counsel to turn over data used by its mental health expert prior to the penalty phase; (5) the prosecutor elicited improper, inflammatory and irrelevant evidence during the penalty phase; (6) the victim-impact evidence was irrelevant and prejudicial; (7) the court failed to consider weighty mitigating factors; (8) the death sentence is not proportionate; (9) Ring v. Arizona; (10) the evidence may not be sufficient to support conviction. The Florida Supreme Court affirmed the sentence and conviction on 10/07/10. On 10/22/10, Abdool filed a Motion for rehearing that was denied on 01/25/11. A mandate was issued on 02/10/11. The mother of a death-row inmate was sentenced to prison herself for swindling elderly customers at two Lake County financial institutions � apparently to help offset the impact of her son's legal bills. Nazreen Mohammed, 47, who worked as a loan officer at Fairwinds Credit Union in Lady Lake and later as a banking associate with Royal Bank of Canada in Clermont, created phony loans and made cash transfers from accounts of customers, many of whom were elderly or dead. She funneled some money to her son's prison account and Lifeline Inmate Support Advocacy Group, which she created to offer assistance to death-row inmates and their families. Mohammed pleaded guilty to aggravated identity theft and two counts of bank fraud. James Wesley Smith III, an assistant federal public defender who represented Mohammed, described her in a sentencing appeal as "emotionally torn and broken" and said her downward spiral began with her son's arrest. Dane Abdool, 24, was sentenced to die in 2008 for the murder of Amelia Sookdeo, 17, an ex-girlfriend whose burned body was found on Feb. 25, 2006, along State Road 545 in Orange County. The family spent more than $260,000 on their son's legal fees, which cost them their home and life savings. Smith said "a combination of fear, temptation and economic distress led Ms. Mohammed to take advantage of her employers and the customers" at the two financial institutions for which she worked in 2008 and 2009. He said the Summerfield woman also sold her dowry jewelry to buy groceries and pay the electric bill. She stole more than $83,000, according to court records, but tried to tap more than $400,000 from customer accounts at the credit union and bank using a series of schemes. Authorities said she changed the beneficiary designations of some elderly customers so she would receive their bank funds if they died. A psychiatrist who evaluated Mohammed reported that she said she stole "to survive, to pay debts, and to buy groceries and get a place to live." The doctor pointed out that her husband also had become ill and disabled. Federal Judge John Antoon II received appeals for leniency from Mohammed's other children, Rian, 23, who recently graduated from the University of South Florida with a degree in criminology, and Evelyn, 12, a sixth-grader. The judge imposed a five-year federal prison sentence to be followed by three years of probation. She also was ordered to make restitution. Mohammed used her status as a Fairwinds employee in 2009 to access customer accounts without authorization, documents show. She withdrew cash from some customers' savings and money-market accounts and obtained unsecured loans against the unwitting customers' certificates of deposits. She repeated the schemes at Royal Bank of Canada. Though Mohammed remains convinced that her son is innocent, Abdool's conviction and death sentence was upheld last year by the Florida Supreme Court. The 17-year-old victim was bound with duct tape, soaked with gasoline and set on fire. In today's United States Supreme Court orders, Abdool's petition for a writ of certiorari and motion for leave to proceed in forma pauperis was DENIED. Death sentence overturned today under Hurst. Gov. Rick Scott has removed Orange-Osceola County State Attorney Aramis Ayala from another death penalty case. The Orlando Sentinel reports the governor signed an executive order Thursday after the Florida Supreme Court overturned the non-unanimous death sentence of Dane Abdool. Abdool was convicted in 2008 of murdering his girlfriend, Amelia Sookedo, then setting her remains on fire. The decision means Abdool will have to be re-sentenced. It comes after the Florida Supreme Court ruled juries in death cases must be unanimous. Ayala has not commented on the latest removal. Scott recently removed Ayala from dozens of other death penalty cases after she said she would not seek the death penalty on any cases brought to her office. The office of State Attorney Brad King, which covers another district in Central Florida, will prosecute the cases.